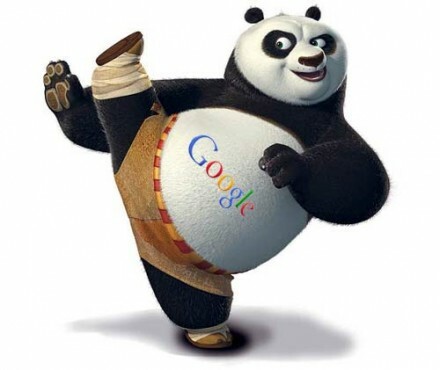 Google has just released panda update 21 and there is no surprise that it still has an impact as to the queries – at least 1.1% for English and 0.4% worldwide. But the right follow-up question then is who has really gotten affected with the new change being implemented and what does the update imply in the practices or violations in the SEO world? Probably, those who failed to follow the updated webmaster guidelines and enhance the quality of their sites are now thinking on how to outlast the update and protect their site from penalty or getting low traffic and rank. No, there is no doubt about that, they really are affected. Why? The reason is simple: Because the prime target of the change in algorithm is the sites with low quality or poor content. But what specifically is the effect of the update? That is one thing that we do not know, but we feel it whenever new change has to come the next day. If we base on the guidelines, however, the first thing which will get affected by the update is the site’s ranking in organic search results since Google will not dare to feed the users with poor items for to do otherwise, it will not be able to achieve its goal for the enhanced users’ experience. After which, it is certain that the site might become the subject of penalty if the webmasters do not modify something to improve the site. • There are still violations in the guidelines – although it is true that whether or not there is an impact, there can still be update for it is periodically released by Google. However, the update is somewhat a reflection of the violations that are still being committed by the webmasters. And looking at and analyzing the various impacts since the update last year, there is a decrease and that may either mean that the number of violations has lowered or the websites have been improved. • Update is one way for Google to Remind the webmasters – remind of what? Apparently, of the webmaster guidelines that should be strictly followed to avoid violation and enhance users’ experience. We don’t really know about its prime purpose, but that’s what Google is trying to say. • The update is somehow based on the changing demands of the users – the main concern is the needs of the users, and Google is taking that into account in giving new updates which are meant for “positive change” not just in algorithm, but also in the websites throughout the web. • New update is not at all a threat – only those who are violating the guidelines are probably being threatened by what they do, but those who are obedient have nothing to worry about the update which is also one reminder for all the webmasters. It’s simply for the benefit of the users! So what are the solutions to avoid undesirable consequences of the panda or penguin updates? Just follow the guidelines and the rules provided by Google and provide quality websites and contents – that’s the best way to solve your problems before they even exist.